Actress Kang Han Na and Taiwanese actor Darren Wang have been spotted together again for the third time. On April 18, a new photo of the two stars together surfaced on the web. 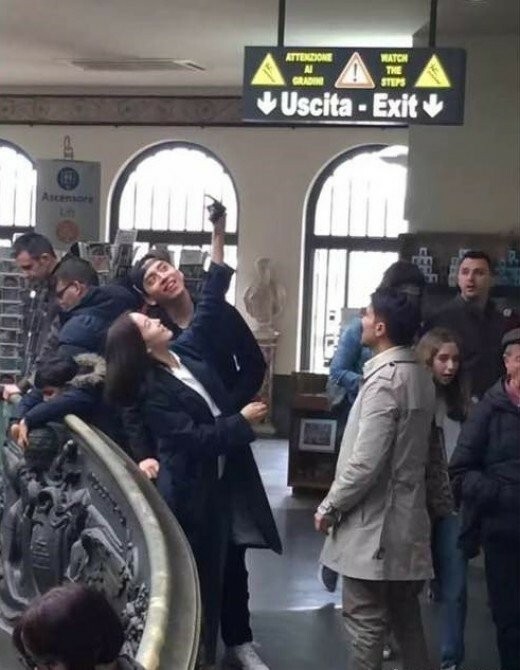 The netizen who shared the image stated that that s/he saw Kang Han Na and Darren Wang at Vatican City, and they seemed like a couple on a romantic date. Last year in April, dating rumors involving Kang Han Na and Darren Wang arose after some photos of them together roamed the web. The rumors were shut down by their agencies, who claimed the two are just friends. Dating rumors once again surfaced this April after they were spotted together in Taiwan. However, their agencies stated, "They are not dating. They became friends after filming a drama together, and they were merely at a gathering with friends." Despite the denials, netizens are positive the two are more than just friends. What are your thoughts on their relationship?